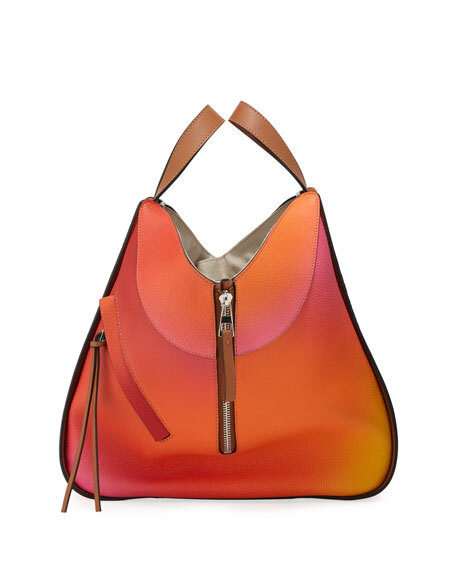 Schiaparelli smooth calf leather shoulder bag. Bottega Veneta shoulder bag in signature intrecciato woven leather with bronze hardware. Sliding chain and flat shoulder strap can be doubled, 22" drop. Open top. Interior, two compartments. One zip pouch, eight card slots. 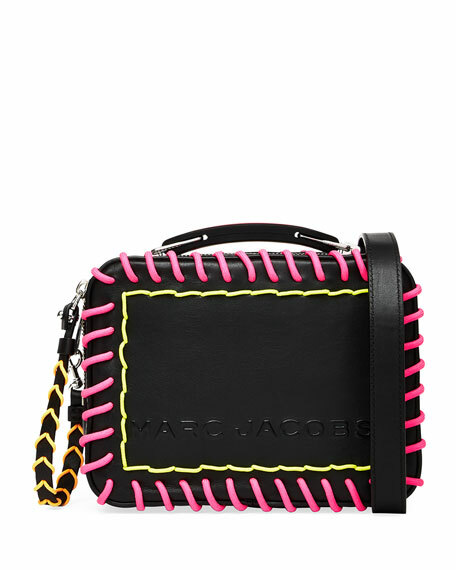 6.5"H x 6.5"W x 3.5"D.
Marc Jacobs smooth leather shoulder bag with multicolor rope whipstitching. Hinged logo flat top handle. Removable shoulder strap. Double zip top leads to dual compartments. Interior, one zip pocket. 5.6"H x 7.7"W x 3.2"D. "The Box 20" is imported.